As if I hadn’t known that school was finally out, I got a reminder from Elizabeth and James (my 8 year old daughter and 12 year old stepson). As I entered the living room exhausted from a long day of work Friday; the speakers connected to the desktop computer emitted Alice Cooper’s “School’s Out for Summer,” which seemed to have been set on repeat since it kept on playing over and over and over again. Apparently, the kids were making sure that we were all on the same page: and mommy needed to have some activities planned. You should have seen the expression on their faces when I announced that we were all taking a day trip to Charlottesville this Saturday; daddy included. 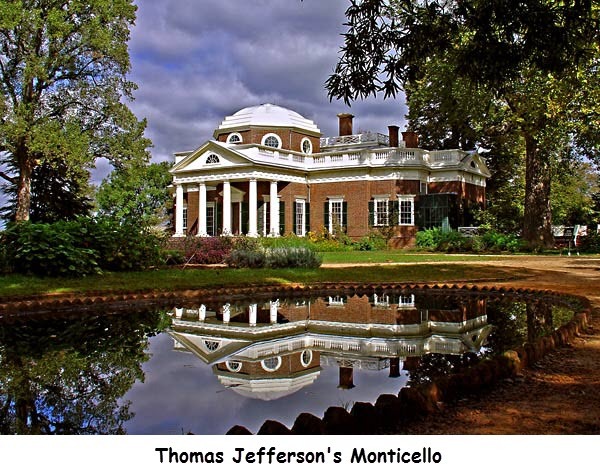 Charlottesville is a beautiful and fun place to have a day trip with the family or even some friends. Here are the top 5 reasons to visit Charlottesville: actually the kids helped put this list together so, you know it will be a hit with your little or not so little ones. 1) Monticello: while Christian (my fiancé) and I will be visiting the Monticello to explore its 11,000 square foot, 21 rooms, magnificent neoclassical architecture and take a walk in the beautiful garden (me, more than Christian), the kids simply want to visit so they can go back and tell their friends they toured the home of Thomas Jefferson; America’s 3rd president. However, they will learn about the American Revolutionary War, engage in a guided archaeological walk through the woods and visit the museum. They will be having so much fun; they won’t realize that they’re actually learning. 2) The Glass Palette-Interactive Glass Art Studio: located just off Market Street, the Glass Art Studio offers a fun, family-friendly environment. I am certain after walking around, the family is probably going to get their hands “dirty.” Elizabeth is already challenging James to see whose artwork is going to be hanging from our wall or sitting in a place for all visitors to see. The jury is still out on whether they will be making a glass flower or a piece of jewelry. With prices starting at $15, including the materials to create art pieces; that’s something we can definitely afford. 3) Carter Mountain Orchard: Oh man, the kids are going to love this. We’ll have an opportunity to pick our own peaches; there is nothing quite like reaching up and grabbing a ripe fruit from a tree, the kids can hardly wait. We’re also going to stop by the market; maybe we’ll get some fresh nectarines or apples. I heard that the bakery has the best peachy donuts ever, and the ice-cream is amazingly delicious; there is no way I’m leaving before a short visit. 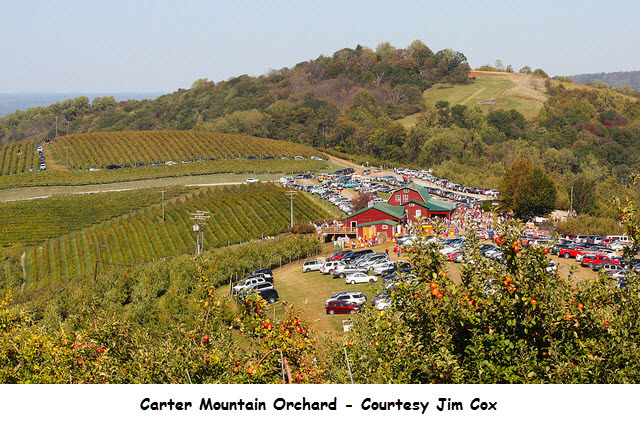 Carter Mountain Orchard is opened Mondays – Saturdays 9am – 6pm and Sundays 10am – 5pm through August 25th, and 9am – 6pm daily august 26th – November 2nd. If you are 21 or older, you might want to go next door to the Carter Mountain Wine Shop and Tasting room, they do have some of the best wines in Virginia. Along with the tasty delights, the hill offers a majestic view of Charlottesville. 4) Michie Tavern: this novel historic landmark was erected in 1784 and family owned until 1910. The Tavern was established to be the “social hub” for the local community and offered travelers a good meal and a place to rest. Although relocated some seventeen miles away from its original location, today Michie Tavern’s staff still offers southern hospitality; dressed in colonial attire type uniforms. After your meal, take a tour of the gift shop, general store and metal smith shop, I’m sure it will add to your experience. 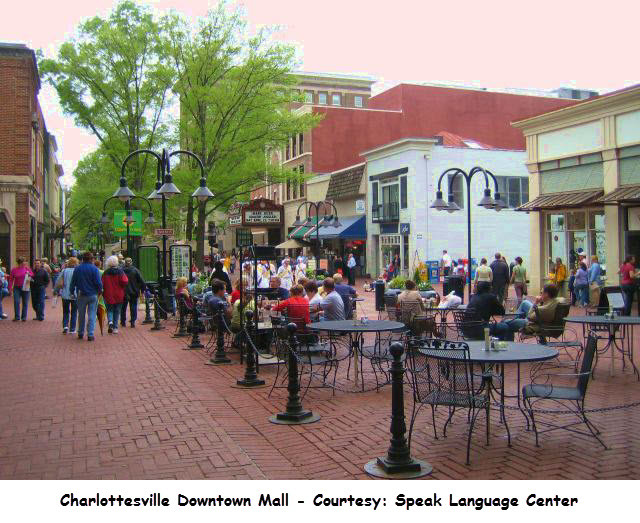 5) The Downtown Pedestrian Mall: we cannot leave Charlottesville without walking down the brick road of Main Street. At the center of the city is a variety of stores and specialty shops, in fact, there are over 120 shops housed in the historic but beautiful buildings on and around Old Main Street. With more than 30 restaurants to choose from, you can opt for fine dining or something fast and effortless. We will also visit the Virginia Discovery Museum at the East End of the Mall; Elizabeth really wants to go inside and is certain to throw a fit we don’t go. Admission is only $6 so it is very affordable and I’m sure she’ll enjoy it. 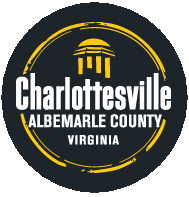 Charlottesville is boasting with several fun-filled activities that the entire family can enjoy. I have listed the top 5 must see and do that my family is going to try to squeeze all in one day…… well as much as we can. I have no doubt that it is going to be a fantastic trip. Here are a few other things to check out while in Charlottesville. Guest Post by Tayeka W.